As the blockchain continues to mature and find adoption in areas other than cryptocurrency, ERP vendors are working to integrate the distributed ledger technology as a trackable, immutable record for everything from shipping manifests and supply chains to equipment maintenance and dispute-resolution systems. The value achieved through integrating blockchain with ERP systems comes not by creating and porting new information into the distributed ledger, but by drawing existing data from enterprise systems and being able to tightly control with whom it is shared. Eighty percent of the world's corporate data resides in silos, according to McDermott. While the promise of big data has always been the ability to glean greater insights, Â owners of that information keep it close to their collective chests, concerned that once it's released, they'll lose a competitive advantage. Blockchain doesn't simply solve the data access or sharing issue; it also solves a confidence problem. "Permission blockchain gives you that confidence that you can control your information and grant access only to those you want to grant access to," McDermott said. "It's the freedom of feeling like I'm doing what's in my business' best interest by being able to share whatever I want, whenever I want it, in a way that's immutable, trusted, secure." Blockchain is an electronic ledger -- similar to a relational database -- that can be openly shared among public or private users and that creates an unchangeable record of transactions, each one time-stamped and linked to the previous one. Ninety percent of goods in global trade are carried by the ocean shipping industry each year. 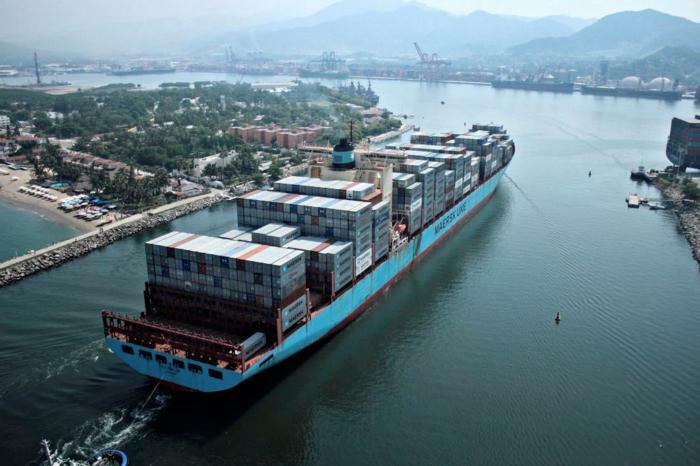 A new blockchain system from IBM and Maersk aims to manage and track the paper trail of tens of millions of shipping containers by digitizing the supply chain. Blockchain can only be updated by consensus between participants in the system, and when new data is entered, it can never be erased. The blockchain contains a true and verifiable record of each and every transaction ever made in that system. The leading platforms for blockchain development today are Hyperledger, an open-source industry consortium formed by the Linux Foundation, and Ethereum, a custom-built platform that was introduced in 2013 by then 19-year-old software developer Vitalik Buterin. The Ethereum platform was originally used for verifying online payments, but its capabilities grew under the Swiss nonprofit Ethereum Foundation. "The are a number of others emerging as well, though they don't yet have the same level of developer support," said Paul Brody, Global Innovation Leader for Blockchain at EY (formerly Ernst & Young). "Both are open source and while companies like IBM and SAP as well as EY are working closely with the governing foundations for these platforms, they are not controlled by a major vendor." The Linux Foundation announced a new software project under its Hyperledger open consortium aimed at creating a collaboration tool for building blockchain business networks -- or smart contracts -- and their deployment across a distributed ledger. For example, all blockchain business networks share certain elements, such as assets, participants, identities, transactions and registries. With existing distributed ledger technologies, it can be difficult for organizations to take a blockchain business use case and map the concepts into running code. Like the internet itself, blockchain's capabilities are continually evolving with new features or add-on applications. Since it is not regulated by a single control center as there might be with a system administration, there's no single point of failure. In an enterprise, theoretically, there would be no need for an IT professional to monitor security on a blockchain database. There are several general uses for blockchain platforms. Public blockchains allow anyone to see or send transactions as long as they're part of the consensus process; private blockchains have only a pre-selected number of nodes authorized to use the distributed ledger. For companies wary of being locked into a single platform or vendor, the open-source nature of the technology should boost adoption, Brody said. "Additionally, open-source platforms with strong developer communities will mature more quickly and have higher security than closed-source competition. 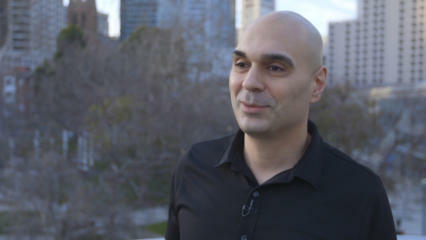 At EY, we have made it a priority to focus on open-source platforms," Brody said. As marketplaces struggle with how best to deploy the technology, IT vendors are beginning to test it in their products -- in some cases, as a reaction to customer inquiries rather than a proactive move. "It's a very hot topic right now," said Zulfikar Ramzan, CTO of RSA Security, a subsidiary of the Dell EMC Infrastructure Solutions Group. "We are definitely getting a lot of inbound inquiries around blockchain and its implication within enterprise environments. I think it's driven largely by the fact that when there's a new technology out there, to some degree people want to be buzzword compliant with the latest and greatest." Ramzan said his customers are asking about blockchain for audit logging and or verifiable logs, which is viewed as a reliable way of tracking what happened in an organization to satisfy regulatory auditors. Other RSA customers are interested in it for user authentication to ensure users are accessing the correct digital records at the right time. At Walmart's shareholder's summit last week, for example, IBM demonstrated a Hyperledger-based blockchain integrated with the retail corporation's safety system that tracks shipments of fresh produce. Specifically, the system was tuned to track multiple shipment of mangoes. The pilot blockchain tracked where a mango had been, what branch it came from, what packing house it went through, in what cold storage facility was it kept, and what distribution center it passed through. Much of the information about the mango shipments came directly from Walmart's ERP system, McDermott said, eliminating the need to create a secondary record or recreate shipment information. Being able to track the mango shipments enables Walmart to determine where, if there's a food illness outbreak, any bad fruit originated. The importance of being able to closely track produce is evidenced inÂ a 2013 E. coli incident that saw Taylor Farms Retail Inc. recall spinach from five retail outlets in 39 U.S. states. The recall was initiated after a random test of a single bag of spinach by the Washington Department of Agriculture found there was potential salmonella contamination. Because Taylor Farms didn't have an accurate method of tracking each bag of spinach, it recalled all of its shipments. "We absolutely understand this is a ripe opportunity in the market. We know this is something people need.... 3,000 people die every year in the U.S. because of food-borne illnesses," McDermott said. "SAP just joined [the Hyperledger consortium] as premium member. Everyone I'm encountering is looking at how to build out solutions so they can get data as efficiently as possible onto blockchain. "Right now we're talking to a group of influential players in the market about how quickly we can expand this...," she added. Another company, IFS Labs, the R&D arm of Swedish enterprise software company IFS AB, has created a new proof-of-concept to demonstrate how Blockchain can be integrated with organizations' ERP systems, and used in the aviation, energy and other industries. A large number of IFS AB's client base is commercial airlines, such as KLM Royal Dutch Airlines, Emirates Airline, Southwest and South China Airlines. Bas de Vos, director of IFS Labs, said the project has demonstrated how blockchain can be used for asset management, including tracking supply chains, parts shipments and even to log and verify commercial airline maintenance work, to include everyone from airline pilots and maintenance workers to parts vendors. A modern aircraft, de Vos pointed out, is comprised of two to three million parts. Due to regulation, each part is tracked, and when maintenance is performed, that work must be logged. The problem is that every entity in the maintenance chain, from airline operator and maintenance group to the parts suppliers and regulators, is often on disparate software systems. Even when they use integrated systems, communications may not be standardized and could be verbal or paper-based, leaving many single points of failure in tracking operations. For the airline industry, blockchain offers consensus among parties, provenance of data, immutability and finality, de Vos said. "It could create a single version of truth where all...the underlying IT systems go through a simplified integration through the blockchain, getting a transcript of the asset history into the blockchain to make sure all the systems instead of talking to each other talk through blockchain," de Vos said. "That leads to much simplier integration between IT systems." Blockchain will not replace ERP systems, de Vos said, but be a complimentary application that can simplify integration between parties and reduce vulnerability because of its innate security. Not all of the challenges in creating a regulated supply blockchain have been met, de Vos said. For example, what percentage of those parties in a blockchain must approve a transaction before it's verified currently varies. And, there's no way to ensure those on a blockchain can be notified in real time of the completion of an event; those and other issues will have to be addressed by software vendors. "It's not going to happen tomorrow," de Vos said. "I think simpler applications might happen tomorrow, but something as complex as an entire aviation chain -- that's a couple years away." EY's Brody believes the key challenge in scaling up blockchain technology for the enterprise is in managing security and privacy. The original blockchains were entirely public (BitCoin and Ethereum), "and that's not ideal for most enterprise business transactions," Brody said. "Building sophisticated tools for managing privacy and security while sharing information selectively is key for enterprise adoption at scale. While we see companies eventually wanting to use public blockchains for their business operations, most early implementations will be private blockchains where it is easier to control and manage privacy and security," Brody said. What won't be difficult is integrating blockchain with ERP systems. That, Brody said, is a solution that has been well developed for past add-ons to enterprise platforms like analytics and other tools. "We are using many of the same tools we did for XML, EDI and analytics to do integration," Brody said. "So that seems like less of a huge challenge and more of a well-known and well-understood problem."